Onboard a ship, fresh water is in constant use. Boilers, high-pressure washers, accommodation decks, and auxiliary equipment represent a large portion of fresh water consumption every day. It is therefore important to produce more fresh water than what is used, in order to secure a sufficient reserve of fresh water on board. Seagull in co-operation with Unitest have developed a CBT covering the operating of Alfa Laval Fresh Water Generator to provide a better understanding on how to operate these generators. Được sửa bởi Bố già ngày Wed Jan 18, 2017 10:04 am; sửa lần 2. This training programme is designed for use both as a refresher by a serving Master or Officer of a Navigational Watch onboard a power-driven vessel and to assist a candidate in preparation for examination for such Certificates of Competency. The overall objectives are to establish and improve knowledge and understanding of the IALA Maritime Buoyage System and to assess competence in using the system. This course provides theoretical knowledge about Integrated Navigation Systems (INS). The module shows how an integrated navigation system is built up together with its sub-systems. Another goal of the course is to make the students aware of the limitations of INS and how to reduce the effect of these limitations. The trainees will learn how an OOW of a ship with an INS on the bridge will be influenced when performing practical navigational tasks. It is very important that the students references the documentation delivered by each equipment supplier. - Future INS – What kind of INS does the operator want? Được sửa bởi Bố già ngày Wed Jan 18, 2017 10:05 am; sửa lần 2. The purpose of this training programme is to provide sufficient theoretical understanding for safe and efficient operation of AIS. An overview of the AIS system architecture, basic technical principles and important operational aspects are given. Focus is aimed at safe and efficient operation, system limitations and possible operational problems. Được sửa bởi Bố già ngày Wed Jan 18, 2017 10:06 am; sửa lần 2. The world changed on September 11th 2001. We all realised how vulnerable we are to attacks from terrorists. A ship can be used by terrorists, either to transport weapons or as a weapon itself. We have to do everything possible to prevent this from happening again. Due to the International Ship and Port Facility Security (ISPS) Code and SOLAS chapter XI-1 and XI-2, Seagull has developed a very cost-effective onboard course combining CBT’s, workbook and practical exercises. The CBT#115 is an important part of this package but can also be used stand- alone. It is also available with Russian audio. Approved by UK (MCA), The Republic of Liberia, Panama Maritime Authority, Vanuatu Maritime Services Limited, MPA Singapore, Isle of Man and Transport Canada. 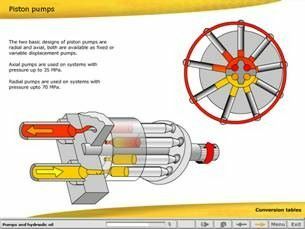 In this training programme you will be introduced to the principles and basics of a Ram type steering gear. The module will give the users a good understanding of how the system works; possible problems, class requirements and alarms. It also includes a full steering gear simulator. STCW 95 Section A-III / Table A-III/1, Table A-III/2. STCW 95 Section A-II / Table A- II/2, Table A-II/3. Được sửa bởi Bố già ngày Wed Jan 18, 2017 10:07 am; sửa lần 2. This training course aims to provide knowledge to those who may be designated to perform the duties and responsibilities of a Ship Security Officer (SSO), as defined in part A.2.1.6 (and part A.12.2 and part B.13.2) of the ISPS Code, and in particular the duties and responsibilities with respect to the security of a ship, for implementing and maintaining a ship security plan and for liaising with the Company Security Officer (CSO) and with Port Facility Security Officers (PFSOs). Those who successfully complete this training should be able to undertake the duties and responsibilities as ship security officer, as defined in part A.12.2 and part B.13.2 of the ISPS Code. Upon completion of the Ship Security Officer Course, Seagull will verify the training results and issue a certificate of competence for each successful trainee. The course is in accordance with IMO model course 3.19. Được sửa bởi Bố già ngày Wed Jan 18, 2017 10:10 am; sửa lần 2. The purpose of this training programme is to make the student familiar with the ISO 14001 Standard for Environmental Management. The student will be given knowledge and understanding of the requirements, purpose and intention. However, focus is on the daily compliance in the work on board the vessel, i.e. how to follow up the international standard in the daily work on board the vessel. ISO 14001 Standard for Environmental Management. The purpose of this training programme is to provide the users with knowledge and understanding of Risk Assessment and Risk Management. 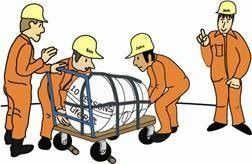 The idea is to heighten awareness of safety issues and get people to think and talk about job hazards and how they can be controlled. The module has focused on what you can do in your daily work, to identify the risks involved, and how you can work around them. This is demonstrated in by a typical example. 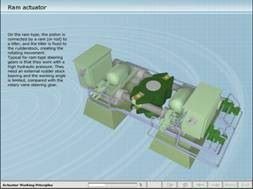 This module is one of five modules (# 1, 2, 5, 88, 123 and a workbook) that are included in Seagull's "Safety, Health and Environment” onboard training course. Được sửa bởi Bố già ngày Wed Jan 18, 2017 10:11 am; sửa lần 2. Ability to use Standard Marine Communication Phrases (SMCP) is a mandatory requirement for all seafarers with watch-keeping duties. This CBT is the ideal introduction to the subject and will allow all ship staff to obtain the knowledge as required by STCW95. The programme is divided into 2 parts. Part-1 covers the General Guidelines for Communication onboard and the External Communication in case of Distress or Urgency & Safety Communication. It includes the scenarios for various Distress situations like Fire, Flooding, Sinking, Collision and Grounding etc. The innovative blend of text, visual and audio in a user-friendly format will provide accessibility to all those who are required to learn and use SMCP onboard. 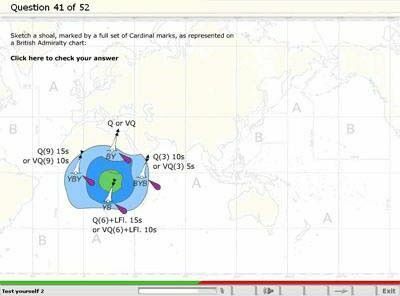 Seafarers of all nationalities can use this CBT module as it narrates scenarios in a variety of international English accents. The use of accents provides an authentic real-life context for learning. Được sửa bởi Bố già ngày Wed Jan 18, 2017 10:13 am; sửa lần 2. Ability to use Standard Marine Communication Phrases (SMCP) is a mandatory requirement for all seafarers with watch-keeping duties. This CBT is the ideal introduction to the subject and will allow all ship staff to obtain the knowledge as required by STCW95. The programme is divided into 2 parts. Part-2 covers the General Guidelines and various scenarios for Communication onboard with while Handing-Over Navigational Watch and scenario for Passenger Care. It also deals with External Communication in case of Cargo Handling onboard Bulk carriers, Tankers and Containers. The innovative blend of text, visual and audio in a user-friendly format will provide accessibility to all those who are required to learn and use SMCP onboard. Seafarers of all nationalities can use this CBT module as it narrates scenarios in a variety of international English accents. The use of accents provides an authentic real-life context for learning. Được sửa bởi Bố già ngày Wed Jan 18, 2017 10:13 am; sửa lần 3. This CBT is designed to give learners an introduction to some basic English words and phrases appropriate to the shipping industry. By learning this vocabulary, learners will have a good foundation for understanding English used during ship operation. The material is presented in a variety of text, audio and visual inputs. The vocabulary is extracted from the IMO Standard Marine Communication Phrases (SMCP). STCW-95 - Controlling the operation of the ship and care for persons on board. Được sửa bởi Bố già ngày Wed Jan 18, 2017 10:14 am; sửa lần 2. This program is designed for use both as refresher training by a serving Master or Officer of a Navigational Watch onboard a power-driven vessel and to assist a candidate in preparation for examination for such Certificates of Competency. The overall objective is to develop, improve and test knowledge and application of the "Rule of the Road". Besides providing the text and a narration of the Rules themselves, this program delivers explanatory notes at every stage. It also includes comprehensive self tests, covering light, shape and profile identification, required manoeuvring, light and sound signal recognition and application of the Rules. Được sửa bởi Bố già ngày Wed Jan 18, 2017 10:19 am; sửa lần 1. Máy mình vẫn chạy bình thường, bạn thử cái XP Mode cho Windows 7 thử xem. 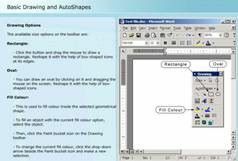 Module #142 provides a detailed introduction to MS Word using concise illustrated instructions, animations and interactive glossaries in each chapter. 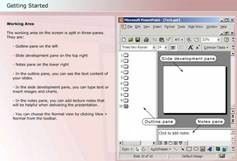 In addition there is an introduction to computers, networks, and toolbars and tasks related to MS Office. 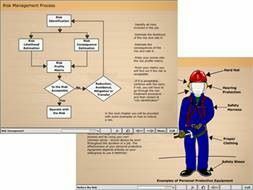 This module will be of great benefit to all ship staff who need to use basic computer functions in the course of their daily work. It is designed for learners with little or no knowledge of computers and gives them the possibility to learn basic computer skills on board the vessel at their own pace. Module #143 provides a detailed introduction to MS PowerPoint, MS Outlook Express and Common Utilities – WinZip and Norton Anti-Virus - using concise illustrated instructions, animations and interactive glossaries in each chapter. In addition there is an introduction to Publishing, Drawing and Design. This module will be of great benefit to all ship staff who need to use basic computer functions in the course of their daily work. It is designed for learners with little or no knowledge of computers and gives them the possibility to learn basic computer skills on board the vessel at their own pace. Module #144 provides a detailed introduction to MS Excel using concise illustrated instructions, animations and interactive glossaries in each chapter. In addition there is an introduction to computers, networks, and toolbars and tasks related to MS Office. 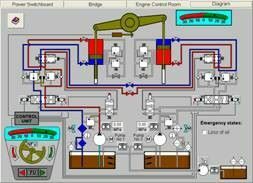 This module will be of great benefit to all ship staff who need to use basic computer functions in the course of their daily work. It is designed for learners with little or no knowledge of computers and gives them the possibility to learn basic computer skills on board the vessel at their own pace. * Introduction: Seagull AS has developed a CBT module that provides a general introduction to the remote control system AutoChief 4. Được sửa bởi Bố già ngày Wed Jan 18, 2017 9:01 am; sửa lần 2. The main purpose of this CBT is to focus on the need to be safety minded and well prepared for port state and vetting Inspections. It will explain how “standard procedures” can save time, money, prevent accidents and injuries and in some cases save human life. Other important matters covered are the “sub standard” problem and how to avoid unnecessary monetary fines. With the exception of regular staff on cruise liners and ferries, many marine catering personnel receive little job- specific training after they leave their schools or academies to go to sea. This program is primarily intended to fill that gap and provide ongoing training for the catering department staff. It will also complement shore-based foundation courses for those still under training. Applicable sections of international regulations and selected representative national regulations, including MARPOL 73/78, the US Public Health Services Act and the UK Food Safety Orders have been used in the writing of this program. 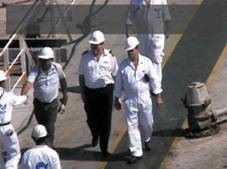 Acknowledged industry guidelines, such as the UK Code of Safe Working Practises for Merchant Seamen and the Vessel Sanitation Program manual, compiled by the US Centers for Disease Control, have also been consulted. 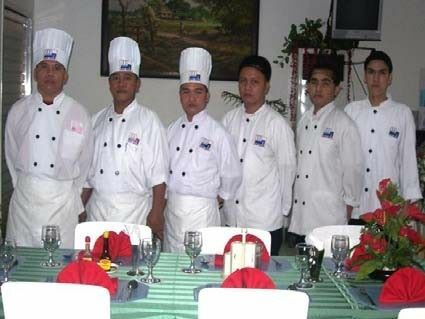 * Target group: The program is designed as foundation and refresher training for catering staff aboard ship. Được sửa bởi Bố già ngày Wed Jan 18, 2017 9:50 am; sửa lần 2. 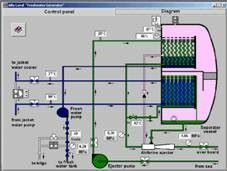 In this training programme you will be introduced to the principles and possibilities of a hydraulic system. The module will familiarise the users with the principles and the inner workings of the industries´ most common components. All components are animated and show what’s usually hidden to the naked eye. Được sửa bởi Bố già ngày Wed Jan 18, 2017 9:51 am; sửa lần 2.